I was born in Atlanta, Georgia to Eugene Mitchell, a lawyer, and Mary Isabelle, much referred to as Maybelle, a suffragist of Irish Catholic origin. My brother, Stephens, was four years my senior. My childhood was spent in the laps of Civil War veterans and of my maternal relatives, who had lived through the Civil War. After graduating from Washington Seminary, I attended Smith College, but withdrew during my freshman year in 1918. I returned to Atlanta to take over the household after my mother's death earlier that year from the great Spanish flu pandemic of 1918. Shortly afterward, I defied the conventions of my class and times by taking a job at the Atlanta Journal. Under the name Peggy Mitchell I wrote a weekly column for the newspaper's Sunday edition, thereby making my mark as one of the first female columnists at the South's largest newspaper. My first professional writing assignment was an interview with an Atlanta socialite, whose couture-buying trip to Italy was interrupted by the Fascist takeover. I married Berrien “Red” Upshaw in 1922, but we were divorced because he was a bootlegger and an abusive alcoholic. I later married his friend, John Marsh, on July 4, 1925; who had been best man at my first wedding. Both men courted me in 1921 and 1922, but unfortunately Upshaw proposed first. I wrote the novel Gone with the Wind, selling nearly as many copies as the bible. I began writing Gone With the Wind while bedridden with a broken ankle. My husband, John Marsh, brought home historical books from the public library to amuse me while I recuperated. After I read all the historical books in the library, he told me, "If you want another book, why don't you write your own?" I liked that idea and drew upon encyclopedic knowledge of the Civil War and dramatic moments from own life, and typed her epic novel on an old Remington typewriter. Originally, I called the heroine "Pansy O'Hara", and Tara was "Fountenoy Hall". I also considered naming the novel Tote The Weary Load or Tomorrow Is Another Day. Finally I settled on a phrase from a favorite poem by Ernest Dowson: "I have forgot much, Cynara! gone with the wind..."
I wrote for my own amusement, and with solid support from my husband, kept my novel secret from my friends. I hid the voluminous pages under towels, disguising them as a divan, hid them in my closets, and under my bed. I wrote the last chapter first, and skipped around from chapter to chapter. My husband regularly proofread the growing manuscript to help in continuity. By 1929, my ankle had healed, most of the book was written, and I lost interest in pursuing my literary efforts. The bulk of the work was written between 1925 and 1930 in an apartment I called "The Dump": the Crescent Apartments are now listed on the National Register of Historic Places and are operated as a museum to my memory. Although I insisted that my Gone With the Wind characters were not based on real people, modern researchers have found similarities to some of the people in my life, and people I knew or heard of. For example, the character Rhett Butler may have been modeled after my first husband. The last thing he said to me was, "My dear, I don't give a damn", which Rhett says to Scarlett before he leaves her in the book. "Frankly" was added for the movie. arrived at The Georgian Terrace Hotel, just as Latham prepared to depart Atlanta. "Here," I said, "take this before I change my mind!" Latham bought an extra suitcase to accommodate the giant manuscript. When I arrived home, I was horrified over my impetuous act, and sent a telegram to Latham: "Have changed my mind. Send manuscript back." But Latham had read enough of the manuscript to realize it would be a blockbuster. He wrote to me of his thoughts about its potential success. MacMillan soon sent me a check in advance to encourage me to complete the novel — I had not composed a first chapter. I completed the work in March 1936. Herschel Brickell, a famous literary critic for the New York Evening Post, reviewed my book in an article titled " “Margaret Mitchell’s First Novel, ‘Gone With the Wind,’ a Fine Panorama of the Civil War Period.” His review helped launch my career by calling attention to what would become one of the best novels of the Southern Renaissance. Over time, we became extremely close; much of our correspondence has been published and is available in the archives at the University of Mississippi. 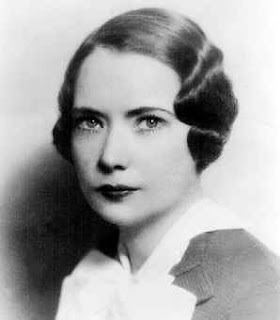 Brickell was also a correspondent, friend, and adviser to other southern writers including Eudora Welty, Truman Capote, William Alexander Percy, Marjorie Kinnan Rawlings, Zora Neale Hurston, Stark Young and Allen Tate. 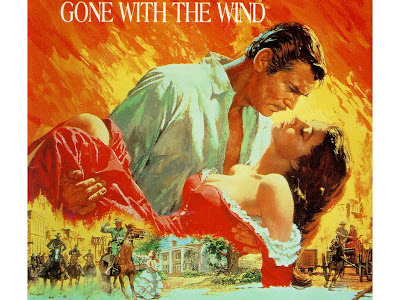 Gone With the Wind was published on June 30, 1936. The book was dramatized by David O. Selznick, and released three years later. The premiere of the film was held in Atlanta on December 15, 1939. It was such an overnight success that its publisher George Platt Brett, President of Macmillan Publishing, gave all its employees an 18% bonus in 1936. My grave is in Oakland Cemetery in Atlanta. I was struck by a speeding automobile as I crossed Peachtree Street at 13th Street with my husband, John Marsh, on my way to see the British film A Canterbury Tale at The Peachtree Art Theatre in August 1949. I died at Grady Hospital five days later without regaining consciousness. The driver, Hugh Gravitt, was an off-duty taxi driver. He was driving his personal vehicle at the time, but his occupation led to many erroneous references over the years to my having been struck by a taxi. After the accident, Gravitt was arrested for drunken driving and released on a $5,450 bond until my death several days later. Georgia Gov. Herman Talmadge announced that the state would tighten regulations for licensing taxi drivers. Gravitt was later convicted of involuntary manslaughter and served 11 months in prison. His conviction was controversial because witnesses said I stepped into the street without looking, and my friends claimed I often did this. 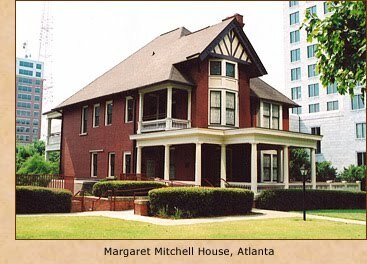 The house where I lived while writing my manuscript is known today as The Margaret Mitchell House and located in Midtown Atlanta. A museum dedicated to Gone with the Wind lies a few miles north of Atlanta, in Marietta, Georgia. It is called "Scarlett On the Square", as it is located on the historic Marietta Square. It houses costumes from the film, screenplays, and many artifacts from Gone With the Wind including my collection of foreign editions of my book. The house and the museum are major tourist destinations. The 1994 TV movie A Burning Passion: The Margaret Mitchell Story, starring Shannen Doherty, told the story of my professional and personal life through the time of the publication of "Gone With the Wind." Clayton County, the area just south of Atlanta and the setting for the fictional O'Hara plantation, Tara, maintains "The Road to Tara" Museum in the old railroad depot in downtown Jonesboro. For decades it was thought that I had only ever written one complete novel. But in the 1990s, a manuscript by me of a novel entitled Lost Laysen was discovered among a collection of letters I had given in the early 1920s to a suitor named Henry Love Angel. The manuscript had been written in two notebooks in 1916. In the 1990s, Angel's son discovered the manuscript and sent it to the Road to Tara Museum, which authenticated the work. A special edition of Lost Laysen — a romance set in the South Pacific — was edited by Debra Freer, augmented with an account of my romance with Angel including a number of my letters to him, and published by the Scribner imprint of Simon and Schuster in 1996. 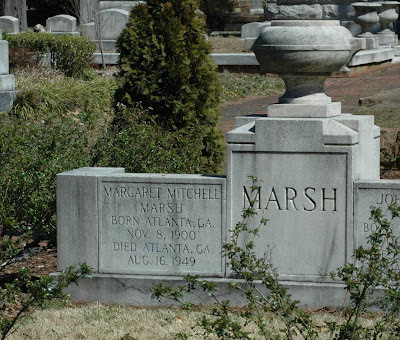 I've never seen Margaret Mitchell's house or burial place. Thank you for telling about her life. That painting of Gone With The Wind is still magical after all of these years. Amazing. Proves romance never dies. I think I missed History and Women last week. I really look forward to reading this blog. Great history. I found your blog through the "Scandalous Women" blog--what luck! Your writing style (the first person) and the images tell such wonderful tales! I don't see myself getting much of my own writing done today... All the best! What a wonderful story! Your first person narration and accompanying images really make it come to life. I found your blog through the scandalous women website, and what luck! I don't see myself getting much writing done today! That was pretty cool! I'm reading a book about the making of GWTW and it chronicles how Ms. Mitchell's characters were based on her family. It's called "Gone With The Wind: The Making of a Masterpiece" by Sally Tippett Rains. You can find it on Amazon. Anyone else read it? Excellent story! I have a handwritten poem that is believed to be written by Margaret Mitchell. It was obtained from a hired clean out of Henry Love Angel, Jr.'s residence after his passing. My husband found copies of the photos that Angel, Jr. donated to the Road to Tara Museum but also a book that belonged to and signed by his father. Tucked inside this book was the handwritten poem about the heroes of Sumter - an amazing array of words! I contacted the Atlanta History Center and was sent samples of Margaret MItchell's handwriting. I sent the comparisons to Sotheby's of NY whose experts believe the poem to be the works of young Margaret Mitchell and provided a value of the piece. However I wish to have this poem authenticated and hopefully published. I contacted Debra Freer who seemed interested until I shared my provenance and a copy of the poem. After that communication ceased. I realize that Mr. Angel, Jr. felt he was under compensated for his magnificent find - Lost Laysen and in my opinion became bitter with Ms.Freer after discovering how much the manuscript brought her. However, it appears that you obtained more information than I did with my research on Ms. Mitchell. Would you or any readers of your blog happen to have any idea who I could contact that would be able to authenticate this poem? Also, have you been published? Your writing talent s remarkable! Hello Lisa! Oh my goodness, I can't believe you actually have a poem handwritten by my favourite author, Margaret Mitchell. I'm in full support of you publishing this poem. Unfortunately, I gather my research over several articles I find when scouring the internet, so I can not provide you with any further help or advice. And yes, I am published under the name Mirella Sichirollo Patzer. I have four books, Orphan of the Olive Tree, The Contessa's Vendetta, The Betrothal, and The Pendant. I have two more books coming out in 2014 by the name of The Novice and The Prophetic Queen. Please do keep me posted on getting the handwriting authenticated. I'm so very excited for you.